Please check out my instructional presentation on advertising. 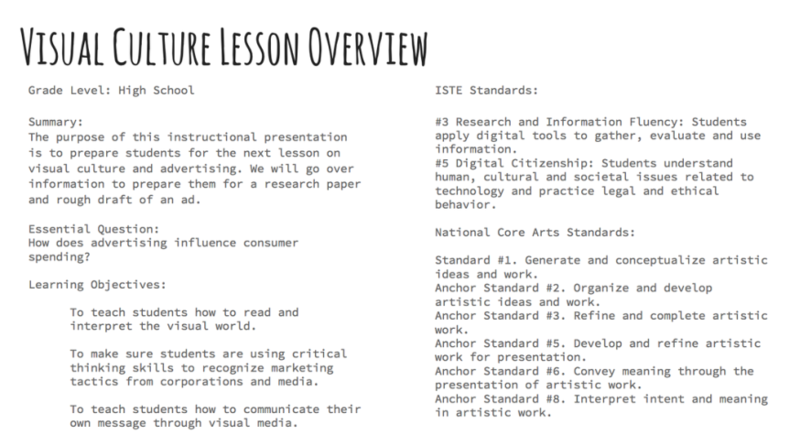 This presentation is intended to introduce my technology integrated lesson to the classroom. Click the button below to see my presentation. I have also included an Overview of the presentation below.